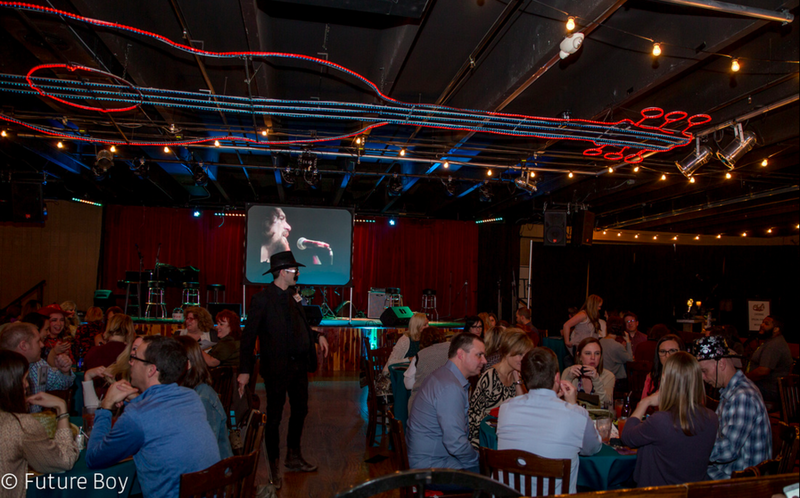 Snyder Entertainment had the pleasure of hosting some of Nashville's best local event planners, vendors, and venue representatives to a private preview of our newest and exclusive Murder Mystery Experience theme, "Music City Murder!" 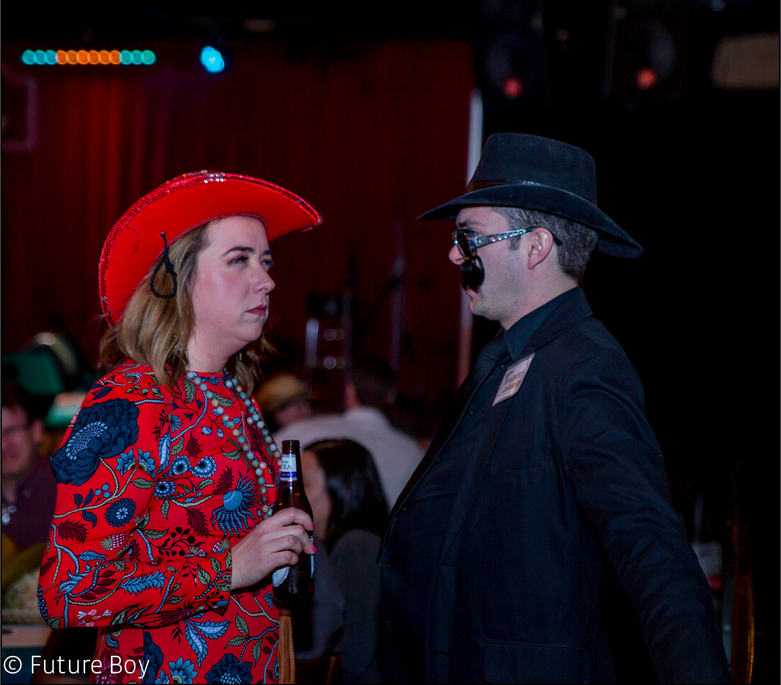 We have been using multiple themes for our Murder Mysteries over the years but we have always wanted something that was exclusively "Nashville." Well here it is; a one of a kind Murder Mystery Experience that takes place in the heart of our blossoming city! See a lot can happen in a honkytonk down on Broadway and it will be up to you to figure out who stopped the music. To help us complete the full "Nashville Experience" we were treated to local fare provided by the incredible Chef's Market Catering Team and local spirits distilled right here in Nashville by the cutting edge Speakeasy Spirits. 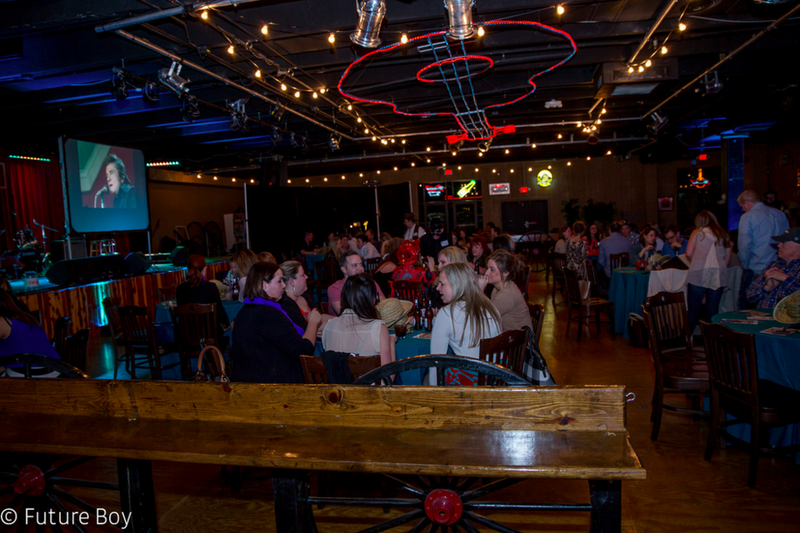 And what place screams Nashville more than the incredible Nashville Palace providing us with the PERFECT backdrop for an evening of drinks and laughs! 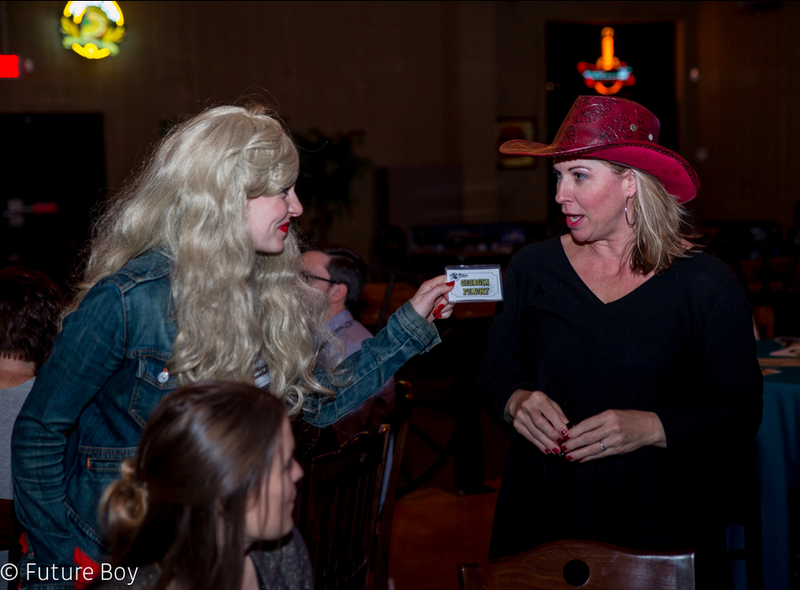 So grab your boots + trucker hats and continue reading to learn more about this new Nashville theme, see pictures from our event, and book your next Murder Mystery Experience with us! Everything a fan of Nashville could ever want! Country Music, Honky Tonks, Dancing, Bushwackers, Hot Chicken and Murder! This great package featuring our exclusive Music City Murder will be more jam packed with entertainment than SoBro on a Saturday Night! 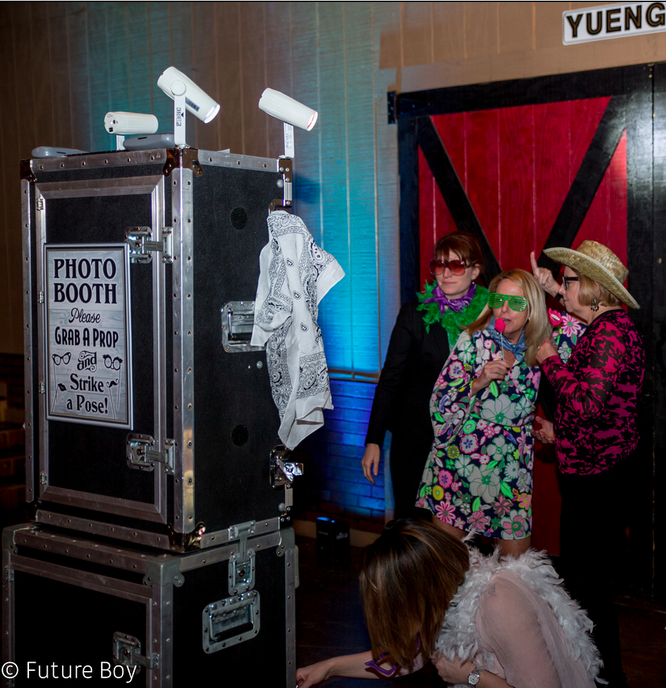 Grab those worn out boots and your biggest hat and jump into our photo booth. A key drive will be presented to you at end of the night while your guests get to take copies of the pictures with them. All the blackmail you will ever need! We will provide uplighting to elevate your neon Honky Tonk fantasy while our professional actors perform this one of a kind Murder Mystery Experience. Following the performance guests can use the photo options, dance and mingle to a selection of today's country hits and standards. 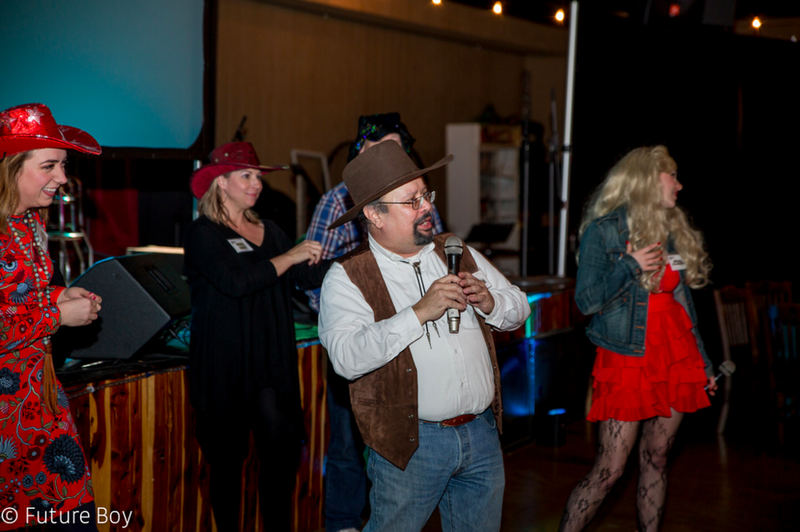 And that's not all; because for a small up-charge we can bring our professional line dance instructors in to take the party home! The average time runs 3-4 hours. As someone who had never been a part of a Murder Mystery Experience until this one I couldn't believe how much fun it was, and how much my husband and I enjoyed it! 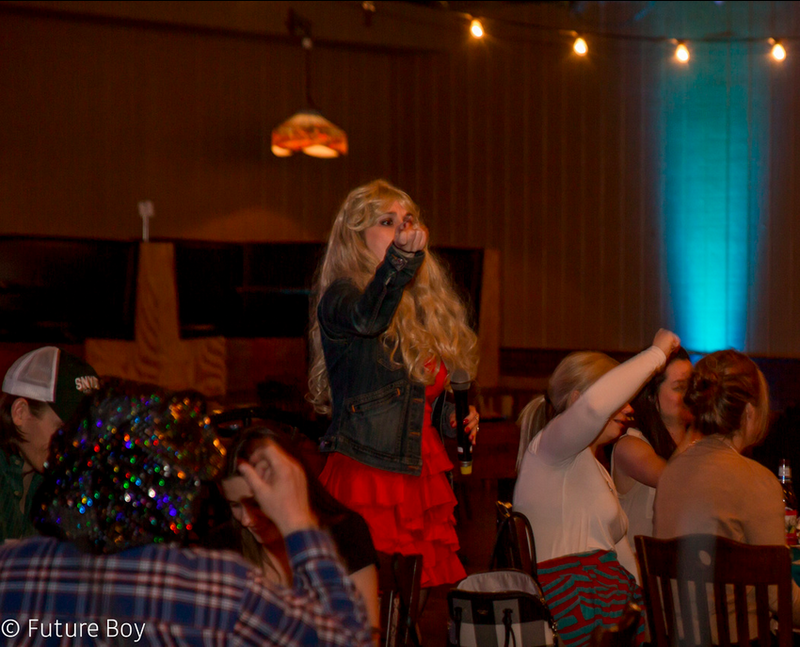 It was honestly such a neat event to be a part of because it provided such a different level of entertainment! 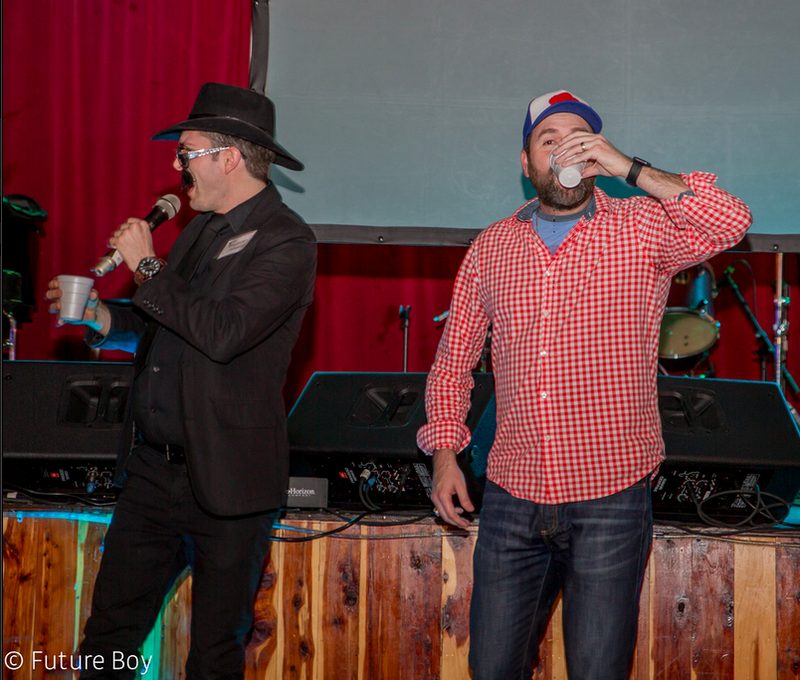 It made you think outside of the box, network with your team and other guests, and it was really funny as well. It was great because it encourages everyone to get involved, and the actors are so indulged in the story that it feels real. I can now honestly recommend our Murder Mystery Experiences for your next event and for those of you, like me, who have never been to one before! DJ/Emcee - Hosting duties for the evening and playing todays and yesterdays country hits! 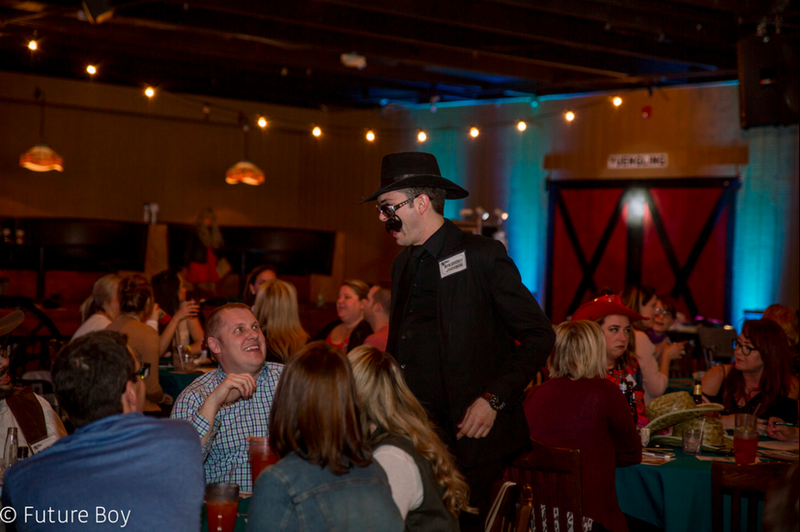 To learn more about Murder Mystery Experiences, other theme options, see additional pictures, and to contact our team about booking your own Murder Mystery Experience, please visit this link + contact us today!